The Anchorage School District asked all Dimond High School football players Monday to fill out a questionnaire about "any knowledge of misconduct" during their trip to Fairbanks earlier this month, according to an online post from the district on Wednesday. That was one of few new details from the district in its latest update on the investigation into what happened after Dimond High's Aug. 18 football game against Lathrop High School in Fairbanks. The Anchorage Police Department said last week it had also launched a criminal investigation into "an incident." The football team remains suspended this week. In response to questions on Wednesday, Catherine Esary, a district spokeswoman, said there would be no interviews that day. "The updated statement is the update we have," she said in a text message. The district has remained relatively mum over the past week about the details of its investigation. It has not said what exactly it's investigating, how many people were involved in the reported misconduct and whether anyone, including students and staff, had been disciplined. In an earlier interview, Deena Bishop, school district superintendent, said the district was investigating a "serious allegation," but did not get more specific. 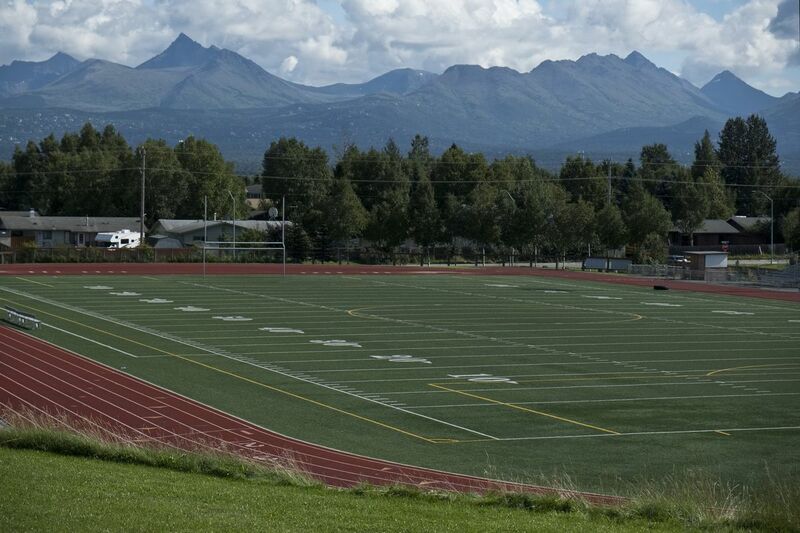 KTUU first reported last week that Anchorage police were investigating an incident involving Dimond High's football team. A woman, who said she was the mother of one of the victims, told the television station that the abuse was "sexual in nature," according to the KTUU report. School Board President Starr Marsett said in a phone interview Wednesday that she could not provide additional information about the district's investigation, including any further details about the reported misconduct and how many people it involved. She added that student safety remained the board's top priority. She said additional steps had been taken at Dimond High to help with student safety including more staff in the hallway between classes and additional counselors in the building. "We are taking it very seriously," she said. "Our hearts go out to the young men who were affected by this." The district's update Wednesday was posted on a website it had set up to share information about the investigation — dimondinfo.org. The district has hired a public relations firm, Strategies 360, to help with messaging, Marsett said. The Anchorage Daily News on Wednesday requested a copy of the contract between the firm and the district, but had not received it by the evening. According to the district's online post on Wednesday, Dimond High football players and managers were broken up into small groups on Monday to fill out the questionnaires, which also addressed team policy and culture. School administrators were in the classrooms the whole time, it said. The district also said in the post that it was aware Dimond High football players had been working out on their own while the team was suspended. The district said it did not organize or sanction those activities, but it understood students' desire to keep working with one another and appreciated that parents were monitoring it. The district went on to detail why it couldn't provide more information, including because of the federal law, Family Education Rights and Privacy Act, and the ongoing investigations by police and the district. MJ Thim, police spokesman, said Wednesday that the department's investigation was ongoing. He said there was no new information to release. Marsett said she expected the district would release a more detailed update about the future of Dimond's football program within the next week.